At Clocktower Cars we ensure you receive the best of our service. 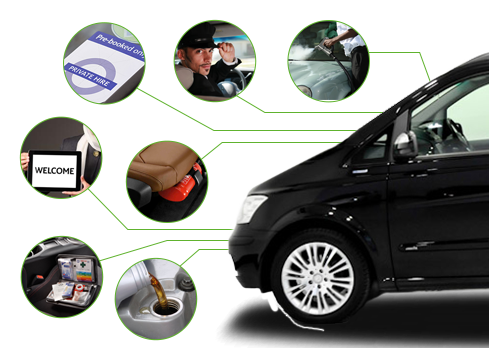 We undertake enhanced checks on all our drivers to ensure you receive a safe reliable service. As a quality focused company we only use the services of experienced drivers and ensure that they have the relevant training they need to transport you. Our system is designed so that if a document is expiring it will inform management and the driver 7 days prior to the expiry. If the new document is not issued before the cut off date the driver will be unable to sign onto the system and work. Our fleet manager overseas all aspects of driver recruitment, training and document management. Our fleet manager inspects our vehicles weekly to meet the expectations of the company and our clients. All our cars come standard with air conditioning. With our 100 strong vehicle fleet in various sizes, we are able to provide executive saloon bookings right up to 8 passenger vehicles and multi baggage requirements.